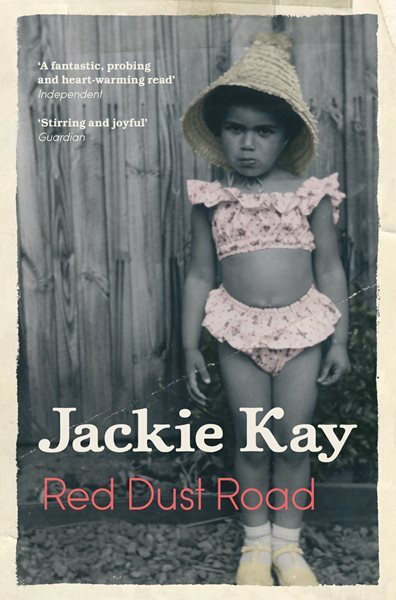 In her deeply moving new book, Red Dust Road, Jackie Kay describes an encounter with a stranger on a train who reads her ancestry in her features. Read on for an extract from the book and the poem that the chance meeting inspired. 'Just one article and he'll be on the net,' she said. I was amazed that it had never occurred to me to Google my father! Over the years I'd thought of getting in touch with Aberdeen University's student records. I'd thought of writing to the Nigerian Embassy who supported the students who came to Scotland in the sixties. I'd been told by various Nigerian friends that, with a surname, he should be easy enough to trace; surnames give you a rough idea of the part of Nigeria people are from. Years earlier, I'd been on a night train from London to Manchester after having done a poetry gig. (It's funny how we poets call readings gigs, really sad and pathetic, just to pretend we are pop stars. We meet each other on the road and say, 'Done any good gigs recently?' 'Yes, Milton Keynes Central Library.') A black man, sitting opposite me, looked at my face and said suddenly 'I bet you are an Igbo. Igbo - definitely!' It was such a striking experience that I wrote a poem about it. as if he and I went a long way back. as the train slid out of Euston. I've ever done, the biggest lies I've ever told. And he was a little boy on a red dust road. Our train rushed through the dark. 'You are an Ibo!' he said, thumping the table. My coffee jumped and spilled. past unwritten stops in the blackness. 'That nose is an Ibo nose. his voice getting louder and louder. that Ibo teeth are perfect pearls. as the night rain babbled against the window. in the lower part of my jaw. I told him what I'd heard was my father's name. something so apt and astonishing. Tell me about the Ibos. a quality of being certain. Now that I know you are an Ibo, we will eat. Not tall like the Yoruba or Hausa. The Ibos should be running Nigeria. And what, I asked, are the Ibos faults? flashed my gleaming Ibo teeth. 'The whole village would come out for you. Definitely,' he opened his arms wide. 'The eldest grandchild - fantastic welcome. the bright things, the flowers. dressed up for me in happy prints. I danced a dance I never knew I knew. Words and sounds fell out of my mouth like seeds. My grandmother was like me exactly, only darker. When I looked up, the black man had gone. Only my own face startled me in the dark train window.